Sweetlife Festival 2014 Lineup Announced! Presale Code To Come! 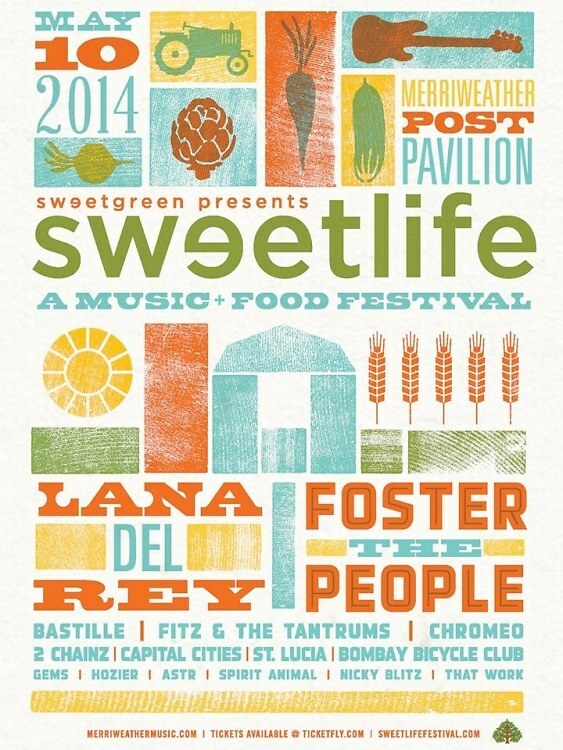 Sweetgreen's music + food festival, Sweetlife, has announced its lineup this year and it's looking relatively...mediocre.While we might be in attendance just for the lovely Lana Del Rey, the rest of the lineup has left us underwhelmed compared to last year's performances from Gary Clark Jr., Solange Knowles, Phoenix and more. The festival, which has grown rapidly in the past couple of years, is a wonderful musing of our two favorite things: food and music. We're holding hopes that more performances will be released but for now some dank grub and Lana will be enough for us. Follow Sweetgreen on Instagram to find out the presale code that they will release at 8pm tonight.